You know that great feeling you get when you skip the fries and order the salad? Sure, you love the fries, but making the good-for-you choice lets you walk around all day feeling like an eff-yeah-salad-orderer. Well, what if we told you there's a new superfood on the scene that is just as enjoyable as the bad choice and also as healthy (actually, healthier) as the salad? Okay, it's not so new. 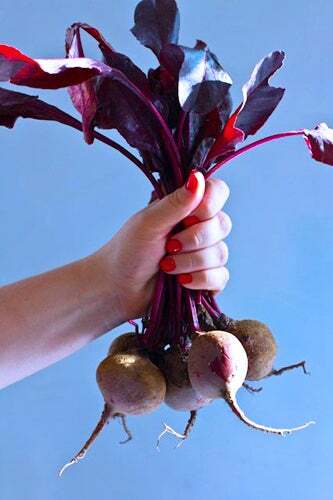 Okay, it's beets. 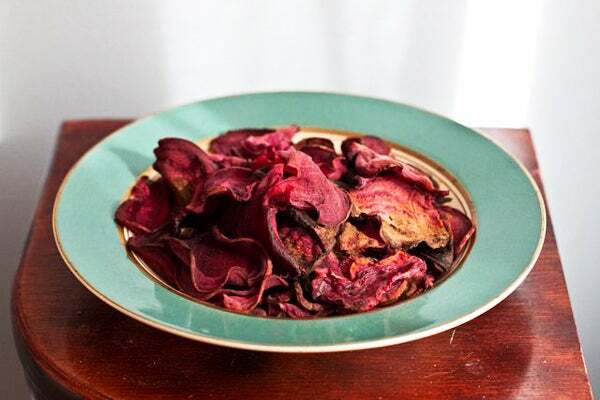 Beets — the ones you usually find under a layer of goat cheese and walnuts — are having a moment as the superfood du jour (as you may be aware, we're kinda into superfoods). 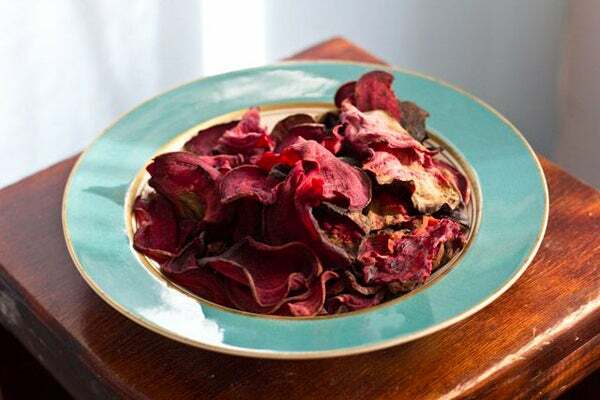 Personally, we've known for a while what gems these ruby-red roots are. Sweet and earthy, the veggie works in so many ways, it's essentially the food equivalent of an LBD. 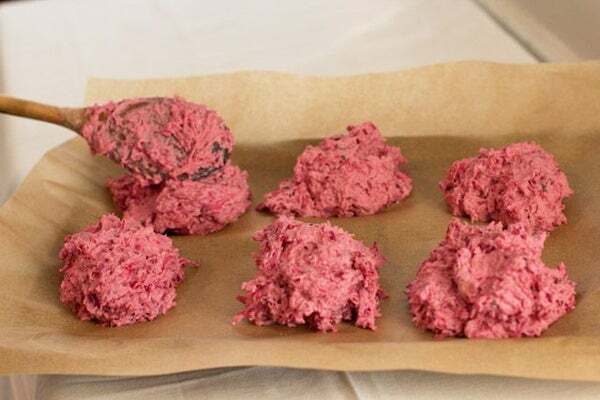 To help you embrace this fiber-, folate-, and antioxidant-rich ingredient, we've whipped up three very different (and very easy) recipes that use beets like you never have before. No borscht or goat cheese salad included. This recipe is a super-charged spin on traditional buttermilk biscuits. 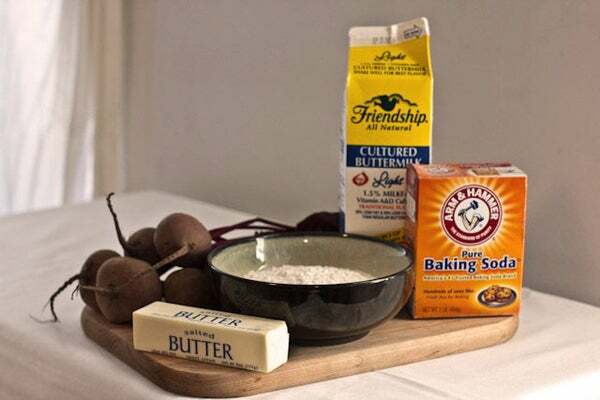 Not only do the beets add fiber and nutrients, they make the biscuit incredibly moist and rich. These are fantastic fresh out of the oven, but unlike other baked goods, they don't get hard and dry after a couple days. 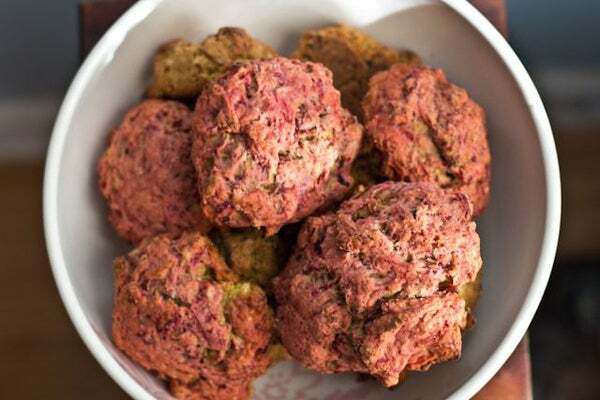 You can pull one out of the freezer, heat it up in the microwave, throw a little butter on it (go on, you're already being healthy) and relive the earthy, fresh goodness weeks later. Preheat the oven to 350. 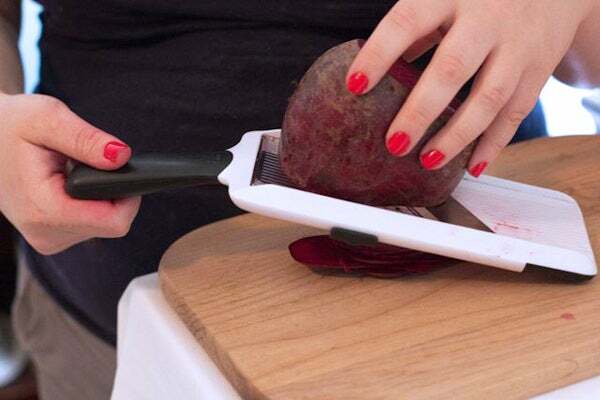 Wash, peel, and grate your beets. If you want more texture, use the larger holes. If you want more color, use the smallest ones. We did half and half for these. 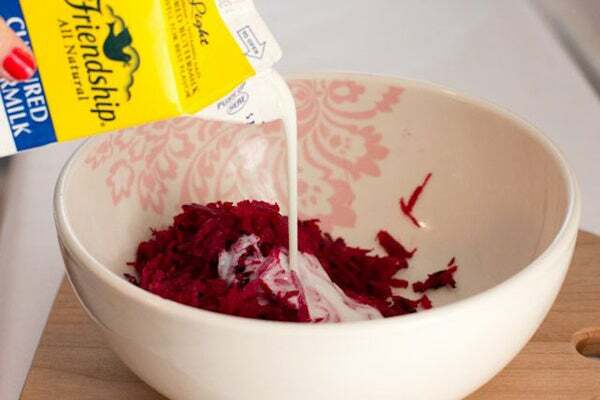 Mix in butter and buttermilk. 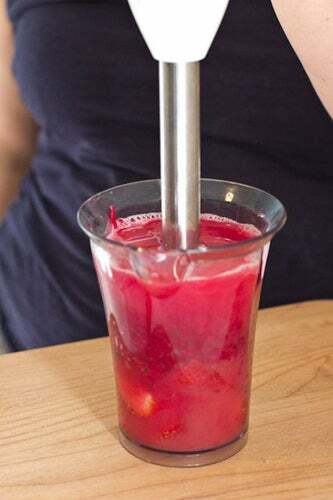 Using a large spoon (or your hands, come on! ), place apple-sized mounds of dough onto a lined or greased baking sheet. Bake for 10-15 minutes (check after 10!) or until a knife comes cleanly out of the center of a biscuit. Try not to eat five. Or at least wait until they cool. The best part about these babies? Everything. 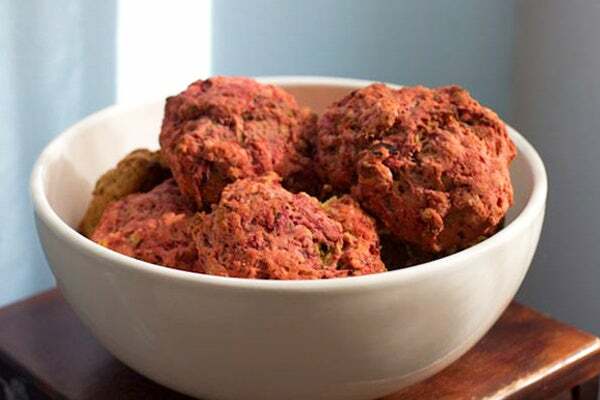 The are yummy and crisp, sweet and salty, indulgent and healthy. 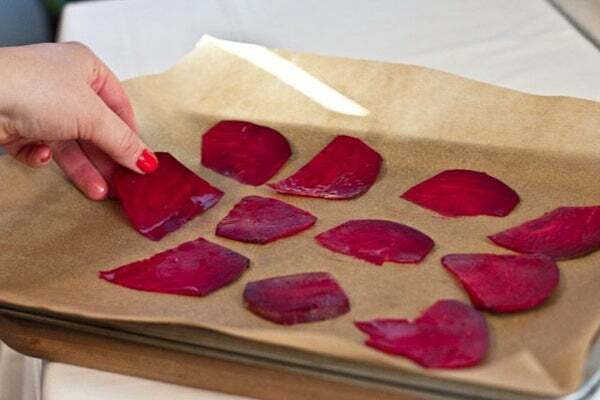 Baked with minimal oil, beet chips satisfy our savory snack craving and our need for health-food bragging rights. Preheat the oven to 350. 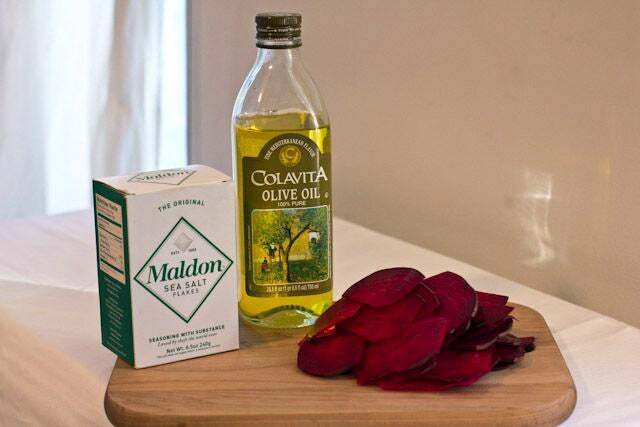 Start by slicing your beets with a mandolin — sounds fancy but you'll find one at any basic home good store. $15 later you'll be able to make chips out of ANYTHING. 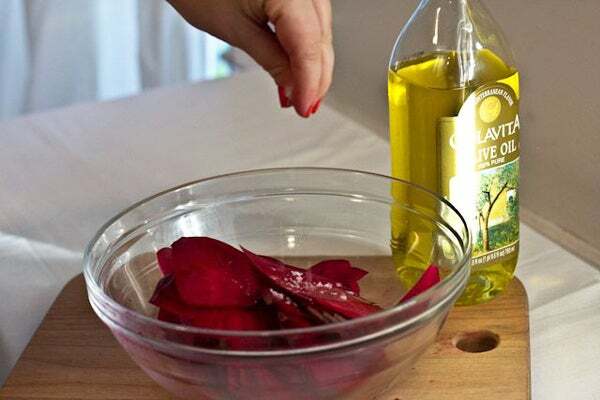 Hold the beet at the top, then press down and glide across the blade (just keep your fingers nice and high!). 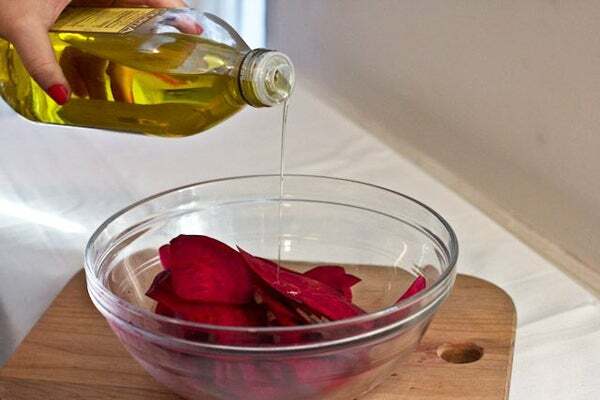 In a large bowl, toss with oil. Be sure not to overdo it here. Too much oil and your chips won't get crisp. And lay flat on a lined baking sheet (not greased). Bake for 10-15 minutes, until your slices are...chip-i-fied. When we heard this summer's Olympians had replaced their coconut water with beet juice as an endurance booster, we realized it probably couldn't hurt our workouts either. 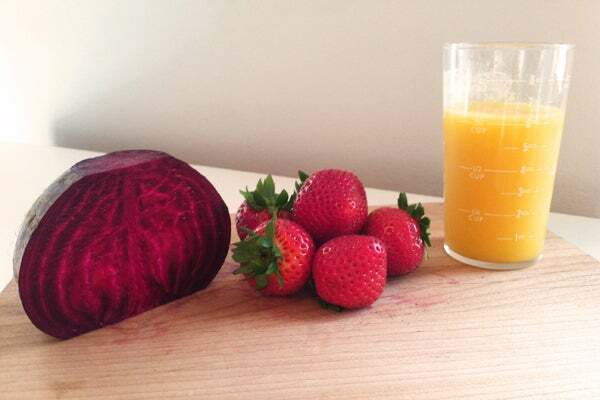 Taking it a step further, we concocted this killer smoothie, super-charged with antioxidents, nitrates, fiber and vitamins. A small glass makes for a great pre-gym sip to help sustain you without feeling too full. Or, pour yourself a full serving after your workout to refresh and reward yourself, Olympian-style. 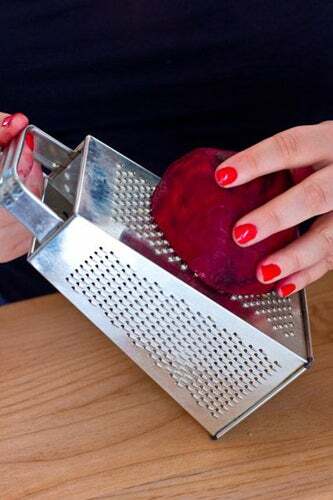 Use a hand grater (the widest holes) to shred the beet. 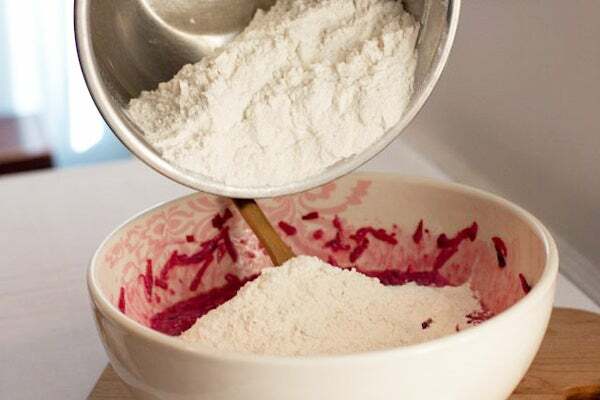 Combine beets with the rest of the ingredients and mix well, either in a blender or with a hand blender, until ingredients are pureed and juice-y. 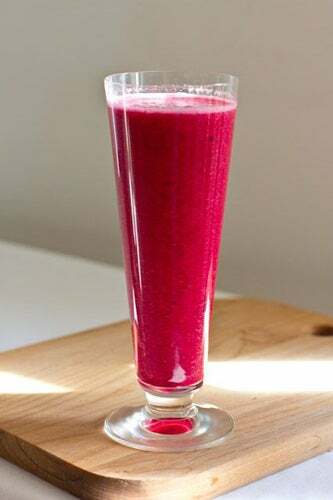 Serve (yourself) this crazy-delicious, highly-nutritious, fuchsia-pink smoothie in tall glass. We think it deserves a pretty one.